A Tour of the Brewster Building * * Photos of the Factory in Long Island City built in 1910, now occupied by Met-Life. A Story About The Feature Car * * Currently featuring car # 9075, a Five Passenger Sedan / Limousine. Parts and Information Needed * * Things Brewster enthusiasts need for their cars or would like to add to their collection. "Stuff" Stuff You Might Need * * CARS & OTHER ITEMS you might be interested in adding to your Brewster collection. Brewsters that have Survived * * Photos of cars that have been located or documented as still "living" today. Non Heart Shaped Brewster Cars * * Photos of Early Brewsters and Chassis other than Ford. On February 10, 2018 our Town Cabriolet d'Ville #9058 received the Historic Preservation award at AACA National Meeting in Philadelphia. This award is given, by the National Awards Committee, to a single car that has been displayed in the HPOF class, at a National Meet during the previous show season. Cars built between 1930 and 1990 were eligible. We estimate this would be about 1000 cars. We are quite honored to have our car selected for this award. THANK YOU AACA! PEBBLE BEACH CONCOURS - We are still working on a special page about our trip to the Pebble Beach Concours August 14 to 18, 2013 with Brewster Town Cabriolet deVille # 9058. We were in the Tour d'Elegance on Thursday the 15th and in the Concours display area on Sunday August 18th. Please check back occasionally. Please help in my search for present owners of BREWSTER cars! We have located over forty cars. We have many photos and hope to establish an internet method of exchanging information. I am in the process of building a list of the current owners. I need your help! If you are the owner of a 1934 through 1936 Brewster, or know someone who is, please contact : Don Weir at dewx2pa@comcast.net. I have a large collection of interesting information, photos, memorabilia, and "stuff" related and connected to the Brewster name. I have many photos of the Original Brewster Building built in 1910 in Long Island City, NY which I took on a tour through the building. I hope to include much of this information on this web page from time to time. The Brewster Carriage Co was started in 1810 by James Brewster. They quickly gained a reputation for fine carriages and by 1827 branches had been established in New Haven, Connecticut, Bridgeport, Connecticut and New York City. The New York City branch was run by James' son Henry and ultimately became "BREWSTER & Co.". In 1878 they became the first and only American carriage builder ever to be awarded the coveted Gold Medal at the Paris Exposition. In 1883 Henry's son William joined the firm at the age of 17 and the slogan "Carriage Builder for the American Gentleman" was adopted. In 1905 they built their first automobile, specializing in small well designed formal cars for use on the crowded streets of New York. By 1908 a variety of chassis were being used including Rolls-Royce. Their business had grown to the point that in 1910 they moved into a much larger facility in Long Island City. In 1914 they became sales agents for Rolls-Royce, Ltd. 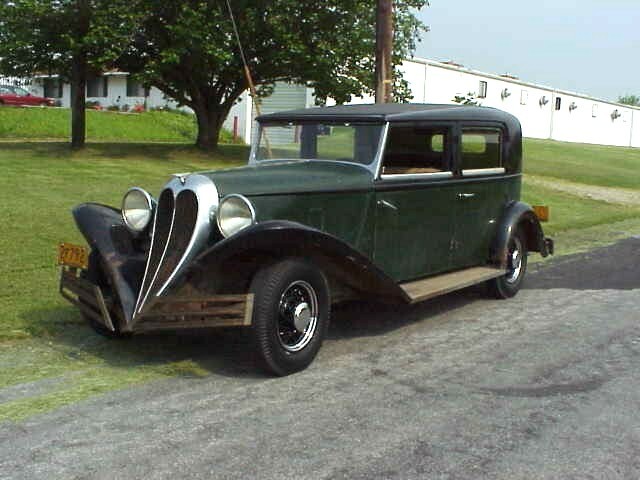 Starting in 1915 they built complete automobiles known as the Brewster Knight. These cars were built until 1925 when the Company was bought by Rolls-Royce of America which had been formed in 1919 in Springfield, Mass. Brewster then became the primary body builder for Rolls-Royce in the U.S. until 1931 when production of the Springfield Rolls-Royce ceased. From 1931 until 1934 Rolls-Royce Phantom II chassis were shipped directly to Brewster in Long Island City. 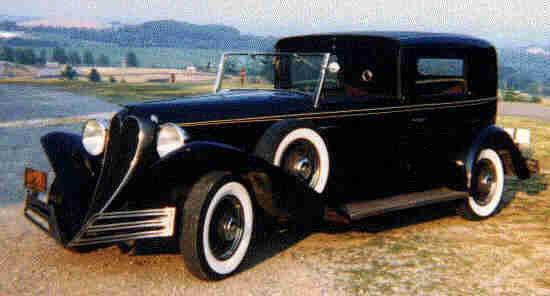 Early in 1934 Rolls-Royce of North America was dissolved. The Brewster building in Long Island City reverted back to the Brewster family. Mr. J. S. Inskip, a faithful employee and now part owner of Brewster and Company, took over the operation of the company in an effort to save it from the on-going effects of the "Great Depression". In 1934 Brewster, under the guiding hands of J. S. Inskip, purchased about 135 Ford chassis (the number of chassis bought is in some question). These chassis were stretched from 112 inches to 127 inches and a completely new body was designed by Mr. Inskip. Nearly the entire Ford running gear was utilized. The Heart Shaped Grill was the trademark of this new offering which sold for $3500 in any of four different body styles. There were Town Cars with an open chauffeur compartment, 5 and 7 passenger enclosed drive Limousines, 4 and 5 passenger Convertible Sedans, and 2 passenger Roadsters. Town Cars accounted for nearly two thirds of the Brewsters built. Unfortunately, by the summer of 1936, Brewster and Company was nearly at the end of their existence and on August 18, 1937 the Company assets were sold at public auction. However, there were a few cars built by Mr. Inskip which carried the Brewster name after that time. My knowledge of Brewster and Company cars and history has increased greatly through my visits with Keith and Ted. Thank you for your willingness to share your wealth of information. I truly appreciate your friendship and look forward to future visits.